Thanks to Adam for sending from Hill East. 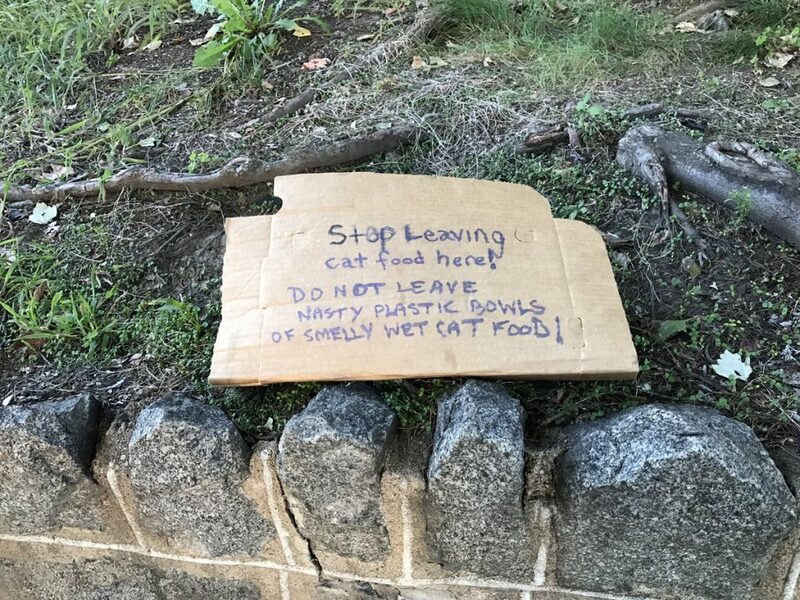 And really if you’re going to leave cat food please have the common courtesy to do so in a porcelain bowl. Perhaps with a floral design. Also use dry cat food like Iams Grain-Free Naturals Chicken & Turkey Recipe Adult Dry Cat Food or something like that. And maybe spritz some febreeze in the general area. I don’t know.